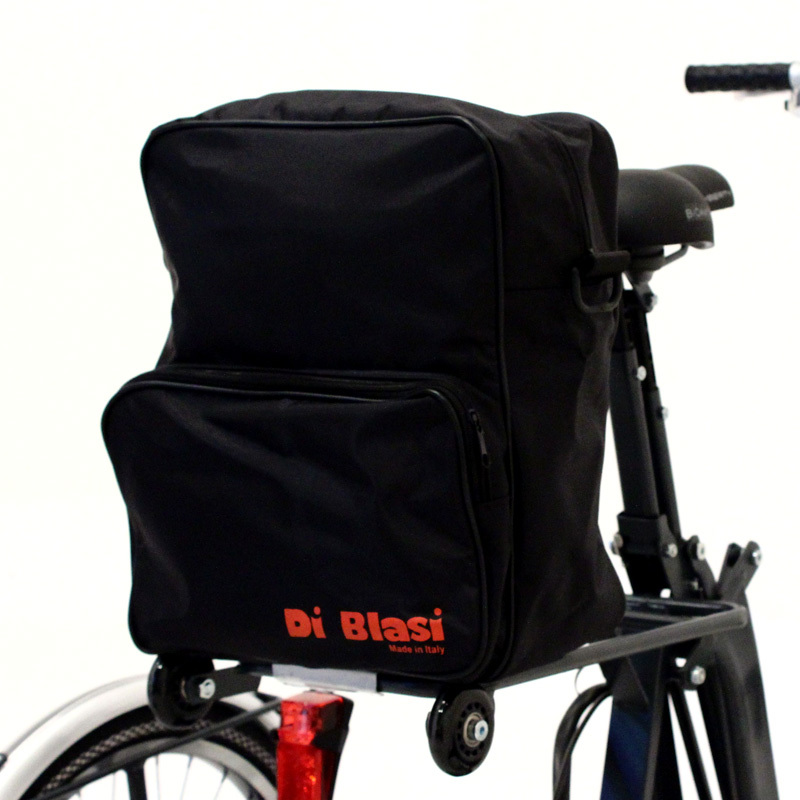 DI BLASI tricycles also come with an accessory electric motor. Mod. R34 is an environmentally friendly alternative that allows you to pedal uphill effortlessly while respecting the environment. 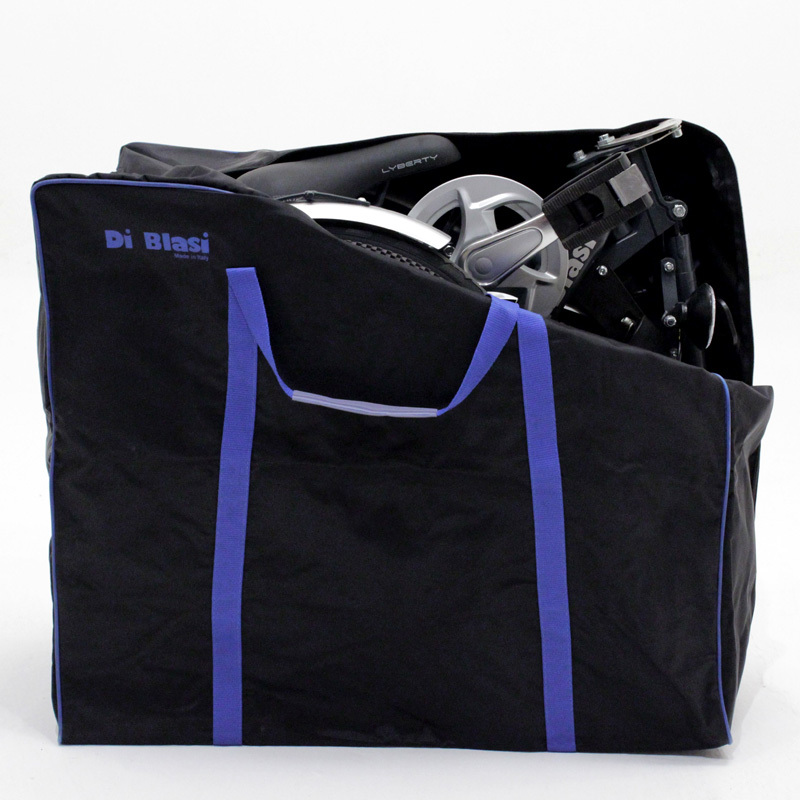 The R34 model is quick and easy to fold and unfold, just as mod. R32. It has the same frame. The only difference is that you have to remove or insert the battery first, but it’s really quick and easy to do. If you want to pedal without the help of the motor, all you have to do is press the switch on the handlebar. It is equipped with a lightweight and extremely reliable lithium battery, which is easy to insert and remove. A special electronic device checks the battery charge so you don’t have to worry about it.